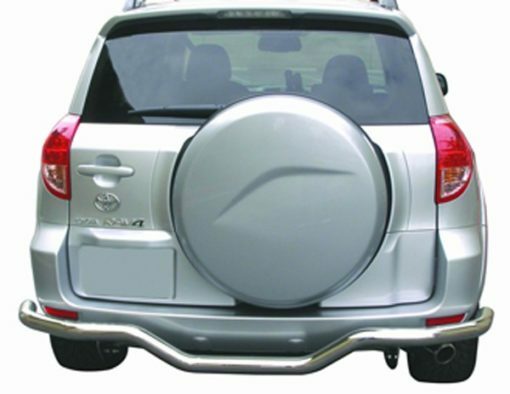 RAV4 Rear Stainless Steel Bumper Guard protects the rear of your vehicle and also giving it a eye catching look! A lot of people protect the front of their truck or SUV with grille guards and bull bars. But the rear bumper could use some extra protection, as well. Thankfully, the RAV4 Rear Stainless Steel Bumper Guard is here to help. Whether you use your vehicle on the highways or off-roading on trails, extra protection comes standard with this RAV4 Rear Stainless Steel Bumper Guard. Polished stainless steel provides a measure of protection for your rear bumper in the event of a low-speed collision. 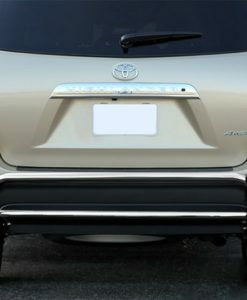 It could be another driver, or it could be an unseen fire plug: no matter what impacts your rear bumper, the RAV4 Rear Stainless Steel Bumper Guard will protect your bumper from unnecessary damage. Each guard is custom-designed for your exact vehicle, ensuring a perfect fit.